There’s an enormous amount of money out there for contractors, vendors and others willing to take on work in some of the nation’s oldest subway and commuter systems during the next few years. Extensive renovations, complex modernization projects, and far-reaching extensions appear in capital spending forecasts for Boston, Chicago and New York. That’s the takeaway from presentations at the NRC National Conference in Marco Island, Fla, in January, as well from press conferences and interviews with leading transit executives. 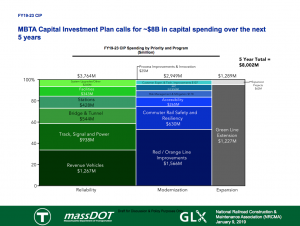 The Massachusetts Bay Transportation Authority will dedicate more than $8 billion to capital expenditures during the next five years, according John Dalton, Green Line Extension (GLX) program manager. “Clearly there’s a lot of work in the pipeline,” Dalton told attendees at the NRC Conference. Some $938 million will go to track, signal and power projects. Another $544 million will be spent on bridges and tunnels. The MBTA’s biggest ongoing project is the Green Line extension, the largest single capex program in the system’s history. Roughly 60 percent of the design work on that project had been completed by October of last year. Other parts of the project, including a complex plan to shift the existing tracks used by commuter trains to allow for additional tracks for light rail vehicles, is expected to continue through December 2021. STV is the lead designer for the Green Line Extension. A consortium that includes Fluor, Herzog, Balfour Beatty, and Middlesex Corp., won the $1.08 billion design/build contract for the extension. 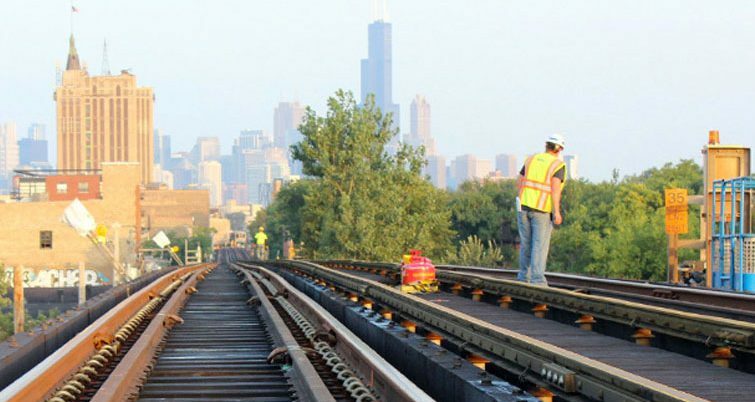 Metra, which operates 11 rail lines over 1,155 track miles in the Chicago area, is seeking $5 billion from the state of Illinois during the next few years for much-needed infrastructure work, according to Bruce Marcheschi, Metra’s chief operating officer and deputy executive director. At the top of the wish list for Metra is a massive overhaul of the system’s 847 aging bridges. “Four hundred of them were built before the automobile was invented,” Marcheschi told attendees at the NRC conference. The commuter-rail system would like to replace 10 of those bridges every year. 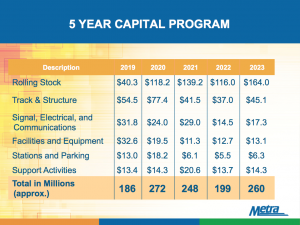 Metra’s 2019 capex budget, by comparison, is a modest $185.6 million. Track and structure takes the lion’s share of that spend, at slightly less than $54.6 million. But that number grows substantially in 2020 to $77.4 million in Metra’s 5-year capital plan. A total replacement of Bridge A-32, including new abutments and roadway work. Procurement is slated for the third-quarter of this year. Construction is expected to begin in 2020. A $7 million, total replacement of the Morgan Street Bridge. Procurement for work on the timber structure is scheduled for the second quarter of 2019. A rehab/replacement of the 47th transfer table in the Rock Island Yard. Design work for that $2 million project is expected this quarter. A $40 million rehabilitation of the Van Buren Street Station. Work is expected to begin in the fourth quarter of 2020. The rollout of a complete Fiber Optic backbone along the Rock Island and Southwest Service right of way. Procurement for the $20 million project is expected this quarter. A complete replacement is planned for the 16th Street Interlocker. Construction will begin on that $9 million project in the fourth quarter of this year. Meanwhile, the Chicago subway system has proposed a five-year rolling capital improvement budget of $2.9 billion. Among the notable projects is “Your New Blue,” a multiyear plan to improve service from downtown to O’Hare Airport. In total, funding of $411.2 million has been allocated and an additional $31.8 million is programmed under the five-year plan. Project work includes removal of track slow zones, station improvements/repairs, and traction power and signal upgrades to better meet the needs of riders. 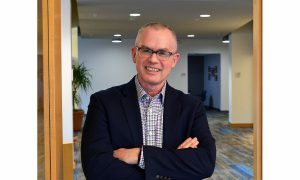 One wild card in the CTA’s plan is the apparent departure of chief infrastructure officer Carole Morey. Sources tell Railway Track & Structures that Morey has accepted a job at the Canadian National. Calls and emails to CTA, Morey and CN seeking comment have not been returned. In April of 2018, New York’s MTA approved a series of amendments to a five-year capital plan that runs through the end of 2019. — the East Side Access project, which will allow Long Island Rail Road trains to access Grand Central Station. 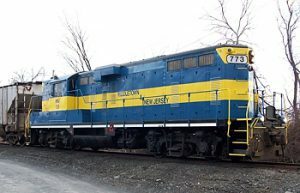 In September, the MTA reached a milestone in that project when it installed double-track on its Ronkonkoma Branch. — the rollout of an enterprise asset management (EAM) solution to help the MTA plan, track and optimize maintenance activities. — the controversial plan to repair the Canarsie Tunnel that carries the “L” train under the city’s East River.